✅ Trip Verified | Mumbai to Toronto via Cairo. 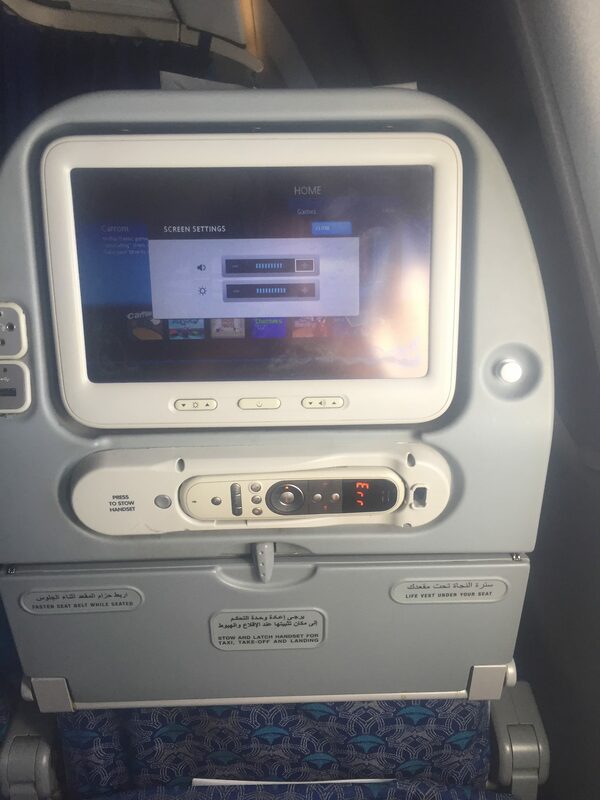 My experience with Egypt Air is simply exceptional. The service and hospitality provided by the crew are commendable and worth appreciating. ✅ Trip Verified | Barcelona to Cairo. I was concerned about traveling on Egyptair but there was no real alternative. Check in and the flight were just fine: no problems at all. Egyptair was as good as any US domestic flight. The problem began when I forgot my small backpack under the seat. I didn’t realize this until we were all the way out to the taxi. The true colors of an airline show when they handle a problem. Starting with the taxi guide, everyone at the airport and the airline was wonderful. The taxi guide whisked me back through security, handed me off to a security agent and they quickly got me to Egyptair lost and found. There was my backpack with $2500 worth of electronics untouched. I was thrilled. Everyone was so nice. This was the beginning of a fantastic trip. Amazing country, astonishing archeology and wonderful people. 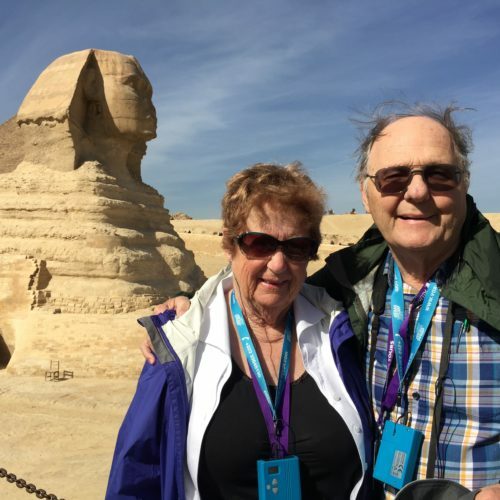 ✅ Trip Verified | Abu Dhabi to Cairo. Would never ever fly with this airline again. Although I checked in through Etihad my flight was with EgyptAir. Had issues when transfering within the airport and the staff were incredibly rude and refused to listen to anything I was saying. They subsequently lost my luggage and have refused to acknowledge this. I have not once had a reply to any email, calls or tweets that I have sent. All of the numbers come up as invalid. I did receive a reply for a facebook message which was a copy and pasted version of their website instructions. I am disgusted with the whole experience. 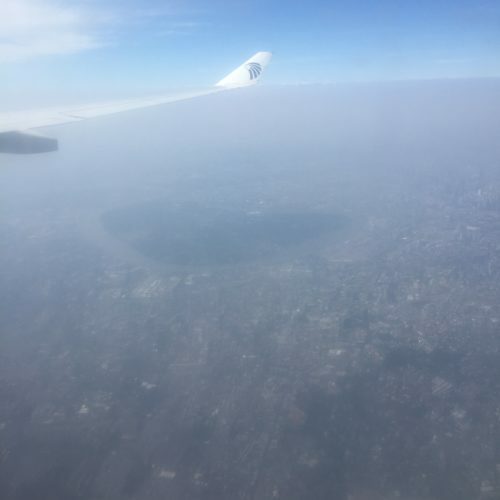 Not Verified | Cairo to Bangkok. Its a good airline according to its price. 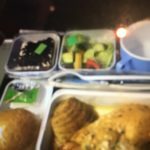 It was a comfortable flight, cabin crew were friendly and always wanted to help, food was amazing with many choices of drinks (all alcohol free) and also they had a great choices of movies. Coffee was really good, also they had an internet connection but it was a bit expensive. ✅ Trip Verified | Johannesburg to Medina via Cairo. In January this year we embarked on a pilgrimage to the Holy Cities of Makkah and Medina. Our flights had been booked on Egypt Air. The agent who’d arranged the logistics of our journey assured us that Egypt Air was a decent airline and that our journey would be pleasant. We trusted him, since the journey to Medina, via Cairo, had been pleasant enough. We weren’t overly concerned about the 23 hour layover in Cairo that loomed ahead of us on the return leg. 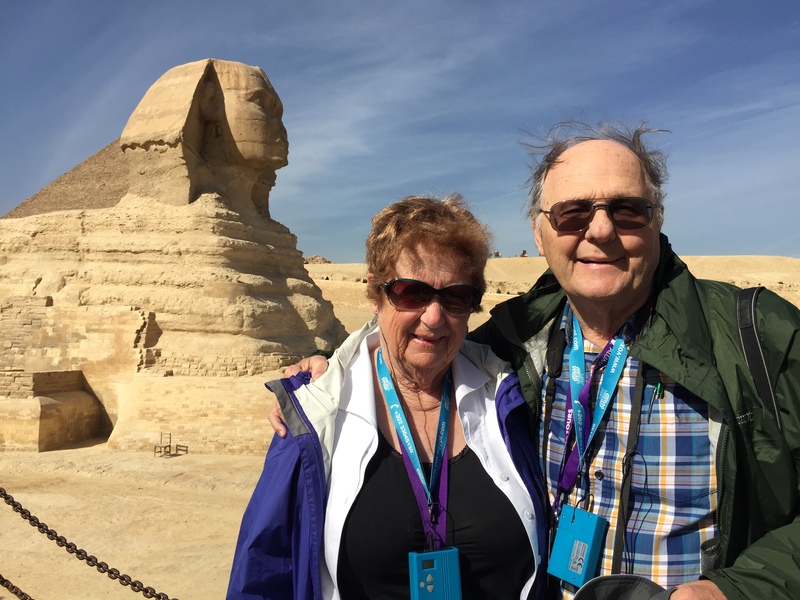 He guaranteed us that EgyptAir would arrange accommodation for our group and that we’d be issued transit visas which would allow us to do a bit of sightseeing before setting off for home. The children were especially excited about this. A chance to see the pyramids! When we stood in the queue at their passport control, never had I encountered an immigration official this rude! He demanded that transit passengers sit down! So we sat. We were a fairly large group, it turned out. Twenty five South Africans and a smattering of Nigerians. Anticipating a long-ish wait, we got comfortable. Greeted our fellow wayfarers, shared what food we had among us and waited. It was two hours before a bus was sent to collect us. We were then driven to the main airport building where we were just told to go upstairs. Here we found an Egypt Air Customer Services desk where a handful of agents were dozing on desks. When someone finally rose to come and see to us, we were told that since we’d arrived early in Cairo, there was nothing he could do for us. There was no accommodation booked. We should go and sleep in the mosque. We were stunned. Egypt Air Customer services aren’t big on responding to the same question twice, clearly. The agent became rude and surly at this point. Seeing that we would make no progress with this particularly unhelpful help desk at near 3AM, we sought out the prayer room. The ladies’ section was just about empty. The ladies and children huddled in groups on the stone-hard floor and tried to sleep. It was freezing! For the men, the night would turn out being much more uncomfortable. The men’s section of the prayer room was full of men who had hours to wait before their connecting flights. 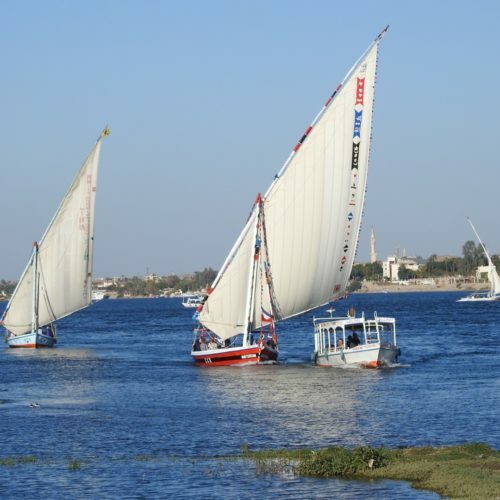 ✅ Trip Verified | Berlin to Cairo and back excellent airline, fast check-in, smooth boarding, very charming flight attendants, good food in quality and quantity, three choices, chicken, beef and fish IFE is overhead screens and some music channels, which is good enough for a four hours flight. "Not worth the extra money"
✅ Trip Verified | Hurghada to Cairo. Flight was on time, and luggage claim fast. Overall service was pretty poor. Domestic terminal was filthy. Paid for business class, but seats were identical, no business class lounge or boarding line. Only difference between economy and business is seat at front of the plane, and a small tasteless sandwich. Not worth the extra money. Not Verified | Cairo to Beirut. Worst airline I have been with. The couple of times I have been with them my flights got delayed. Fleet not so new and maintained. Crew not so professional. Always expect an issue when you decide to go for them; either a delay, mishandled baggage, paid seats cancellation, rudeness, discomfort. "good old style business class"
✅ Trip Verified | Rome to Cairo. Excellent service from check in to the flight. The Lounges at Rome Egyptair use Alitalia. There are a number of lounges. I used two, I didn't realise gate E had a lounge beside it. Good food selection, fine quality wines and spirits as Egyptair is a dry airline I filled up at the lounge. Excellent service. On board the hostess took my overcoat and hung it in the Wardrobe, I notice a lot of European carriers don't offer this service anymore. The flight had very comfortable seats for a two to three hour flight. Cradle type, just two seats beside each other in business much better than the usual tight European business class. The meal was very good, I had steak and the drinks even though non alcoholic were nice fruit juices. Relaxing flight and my bags were first off at Cairo Airport ready for my onward journey to the hotel. Overall good old style business class a great service, friendly smiling staff and uneventful flight. "wouldn't fly them again in economy"
✅ Trip Verified | Bangkok to London via Cairo. I was originally booked in business class for this flight, but I had to change my flight and ended up getting downgraded to economy. At Bangkok airport, there was a line for Business class passengers that looked rather long. Boarding was relatively organised, although I did manage to get on ahead of those seated in my zone. 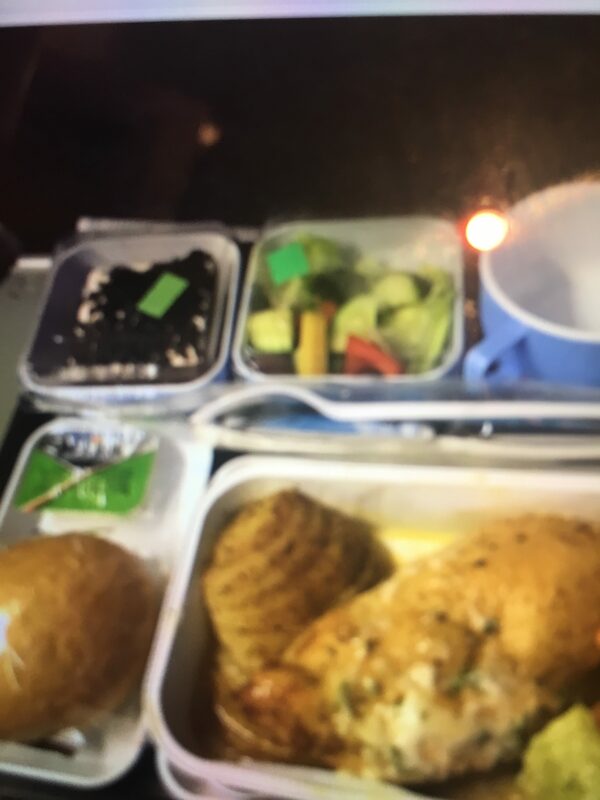 After takeoff, the crew dragged meal service for an hour and a half. On this flight, the catering was provided by Thai, and was the same thing I got on my flight to London with Thai. The only difference being served a salad with a hideous dressing instead of a meat appetiser. After meal service, I attempted to sleep. 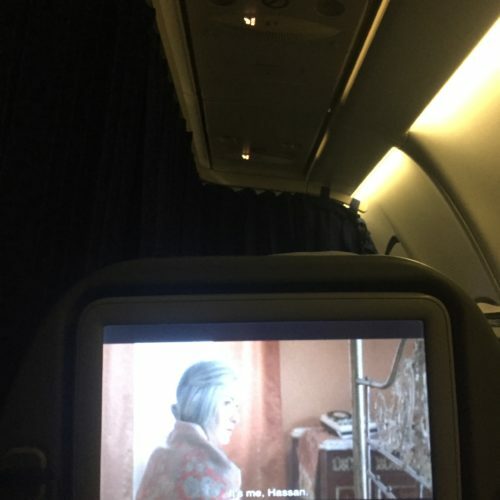 I was in the middle row, and there was two of us, my seatmate was on the right aisle and he slept in his seat without any problems. Even though I had three seats to myself, I couldn't get good sleep on this flight. The recline was too little. Ultimately I did manage to go to sleep after an hour trying to find a good (and awkward) position. A good feature of the seat is the footrest. A bad feature of the seat is the minimal head support, and I found myself wrestling with the headrest during boarding trying to get it up. They also gave us amenity kits. Which were the same amenity kits given to business class passengers. Transit is a good experience in Cairo, as you go through security at the gate. Unfortunately, something that didn't happen on my outbound flight was an organised boarding. They shouted "Bangkok" and people went sprinting to the gate. This time, they shouted "Business Class" and let business class passengers get on first. I was quite cross since this didn't happen when I flew Business. On this flight, I found myself calling the flight attendant repeatedly as my seatmate (Not travelling with me) was not served a snack when everyone else was served one. One of the funny things that happened on this flight was that there was a crying baby, but no one seemed to mind, including myself. 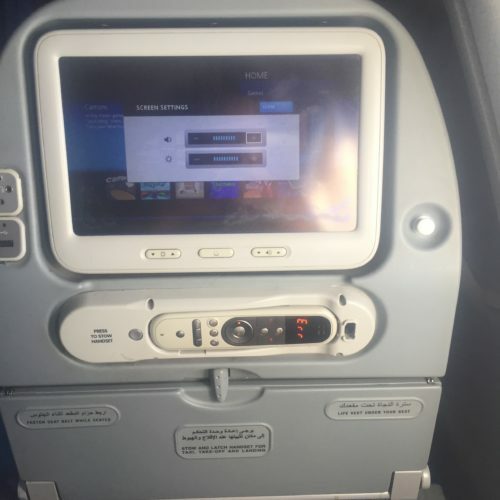 I am not very happy with my Egyptair experience, and I'd take my word back where I said I would be alright to fly with them in business class, rather, I'd probably choose another Star Alliance carrier in future. Egyptair is quite a rubbish choice, and I wouldn't fly them again in economy, but I might consider their business class in the future.